Have you ever had those days when it’s the middle of the week and you’re out for lunch, but when you go through your wallet the only thing you can find is a lonely P100 bill? The question is, where can you eat with your P100? Near where I live is the famous Area 2, found in J.P. Laurel Street inside UP Diliman. Area 2 is a whole street lined with several hole-in-the-wall restaurants and food stalls that offer a variety of food for the cheapest prices! And if you do find yourself in Area 2, your problem would not be your P100 budget but where you’d want to happily spend and even get some spare change. To help you make the most out of your tight budget, we’ve gathered 10 sulit eats less than P100 you can enjoy on your visit to Area 2. Jin Ramyun at 175 Noodle Stop (P65). Ramyun dates on rainy days are always a good idea, especially if you can get them for only P65! 175 Noodle Stop offers ramyun noodles all for less than P100, and our personal favorite is their Jin Ramyun with its mild and friendly spiciness. 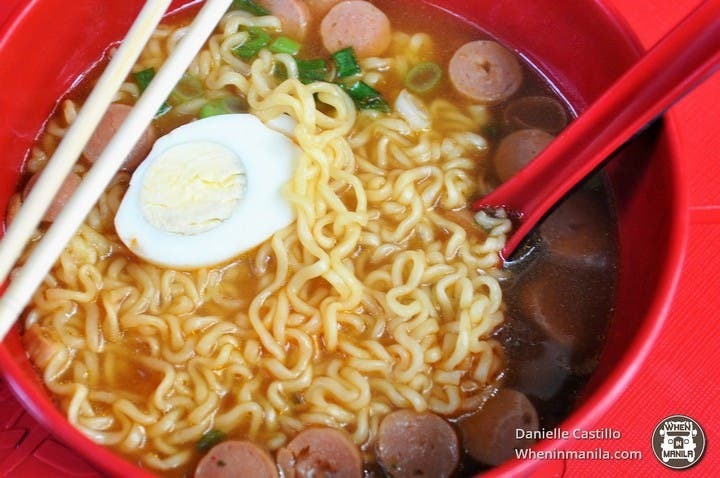 Other variants include Shin Ramyun (P65), Neoguri Ramyun (P75), and Jjampong (P75). Pork Sisig at JimRich Food Corner (P65). Different sisig places can be found in Area 2, one of which is JimRich Food Corner on the road next to the main eat street. 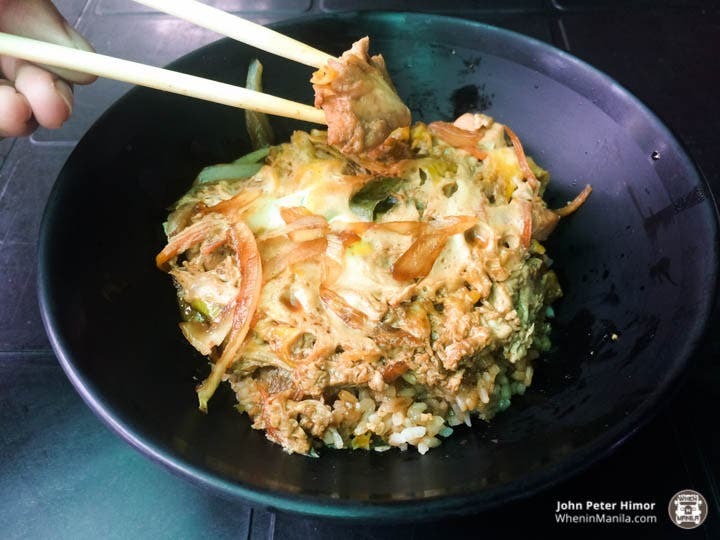 Each sisig place has its own merits, but JimRich Food Corner stands out for their sisig’s distinct flavor—bold, creamy, and a bit crunchy as well. Their breaded pork (P59) and chicken wings (P59) are also sulit must-tries. Okinawa Milk Tea at WitTEA (P70). Why go to the mall for milk tea when you can enjoy your daily fix in Area 2 for much cheaper? 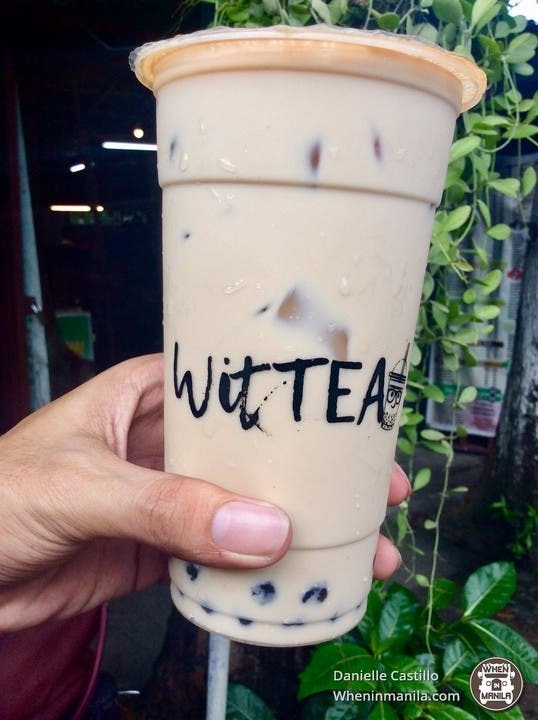 Visit WitTEA and try out their wide array of milk tea and fruit tea flavors! Immediate standouts are the Okinawa Milk Tea (P70), Hokkaido Rock Salt and Cheese Milk Tea (P95), and the Green Apple and Yakult (P85). Aside from milk teas, WitTEA also offers pasta, paninis, and coffee drinks for a complete dining experience. 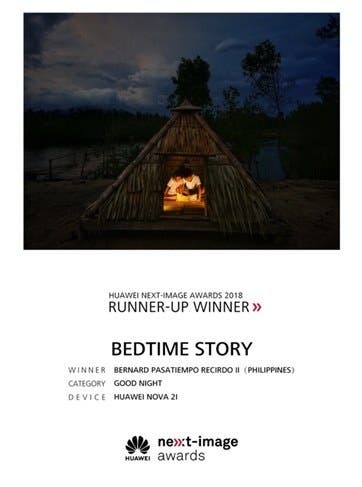 Liempo at Roma & Charlie (P65). 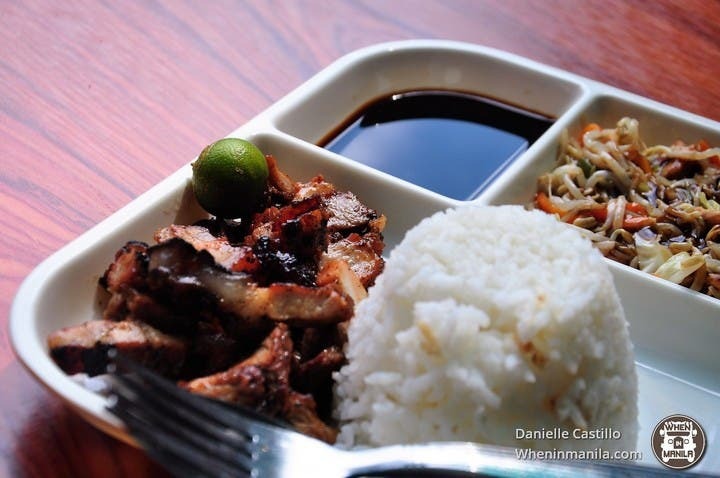 If you want to feel busog from a favorite Filipino meal, try the liempo from Roma & Charlie. 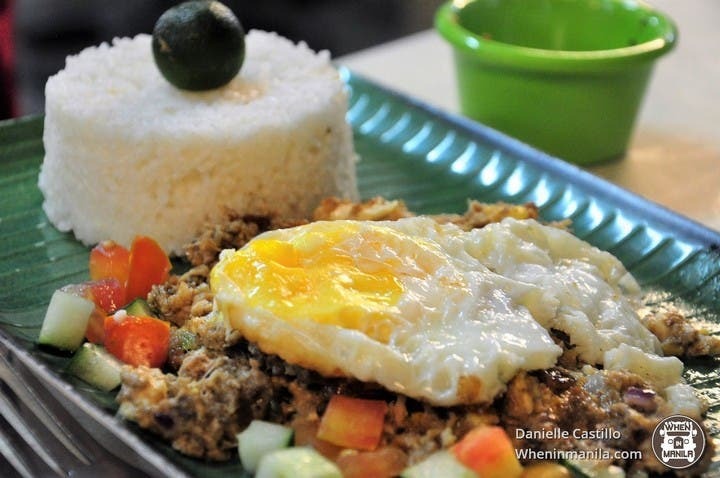 For only P65, you already get the rice staple, a hefty serving of liempo, and a choice of an egg for sides or your favorite vegetables. How sulit is that? You also need to try Roma & Charlie’s pork barbecue and fish fillet, all for P65. Siomai with rice at Iskomai (P35). 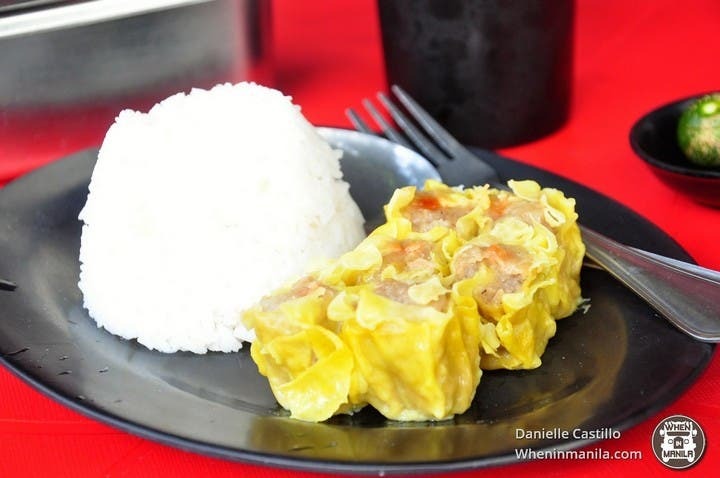 The gipit college student’s go-to meal, the siomai and rice combo is deeply ingrained in the culture of university life. UP Diliman’s famous Iskomai is the holy grail of students needing to get by or wanting to enjoy an easy snacking. Don’t forget to try out the adjacent Iskorambol which offers the classic childhood dessert, scramble, for only P20! 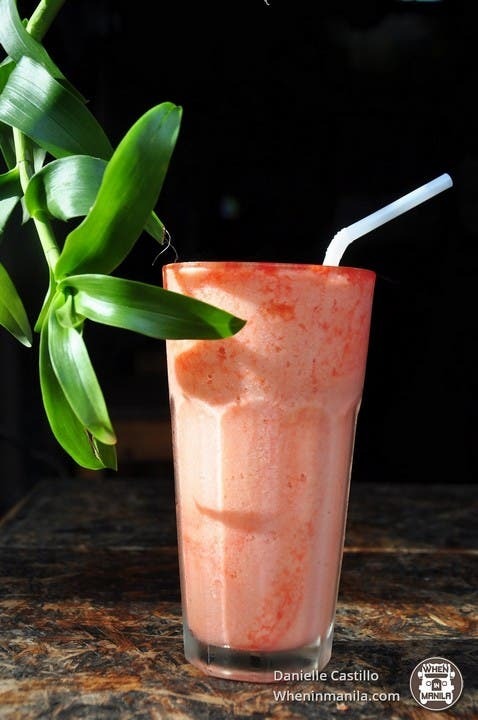 Strawberry and mango milkshake at Endless Summer (P80). The summer vibes are year-long at Endless Summer, which offers sizzling platters and fruity shakes for your inner island dweller. Enjoy a strawberry and mango shake for P80, partnered with the sizzling pork chop for P70. You can also try their classic hot buffalo wings for only P75! 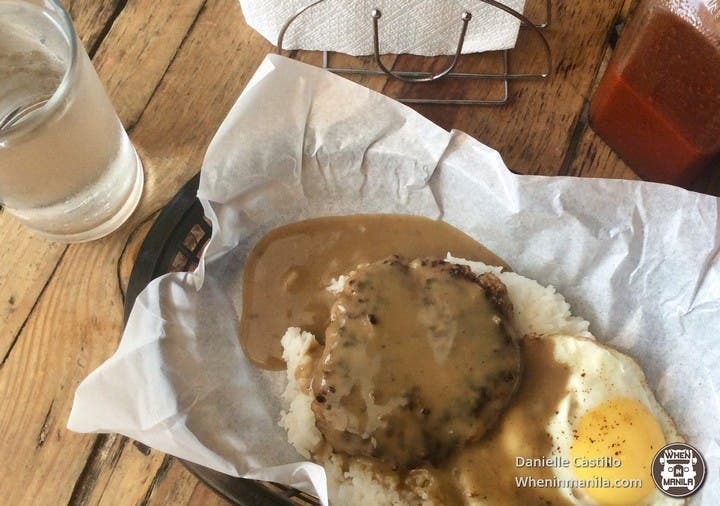 Loco Moco Burger Steak at Steak & Destroy (P80). Steak & Destroy is most known for their hearty steaks and their pan-grilled meats, such as their Loco Moco (Burger Steak; P80), Steaky Peralta (T-bone steak; P155), and Chicken ni Junjun (Deep fried chicken strips; P70). You can also order their Project Omelette where you create your own omelette from a variety of ingredients like bacon, mushrooms, and even kangkong. Quarter pounder with cheese at Snack Shack (P90). You can’t visit Area 2 without taking a visit to Snack Shack found at the start of the eat street. 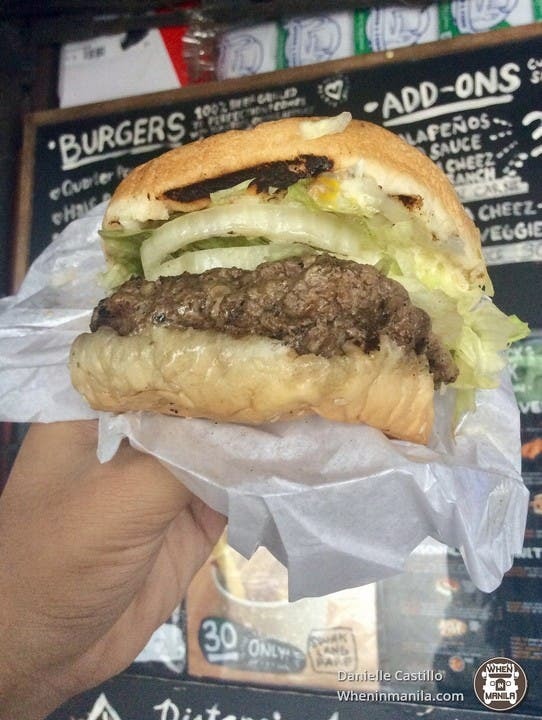 They offer premium burgers that are loaded with cheese, tomatoes, onions, and lettuce, and all for the great price of P90 and P175 for the quarter pounder and half pounder, respectively. For a small fee, you can also customize your burger to include chili con carne, extra cheese, jalapenos, and several other add-ons. If you don’t like burgers, Snack Shack also offers amazing sausages that are equally satisfying. Affordable Japanese-inspired food doesn’t get any better than at Obo-sen. This hole-in-the-wall sure lives up to its name as you’re bound to devour and finish up all of their meals. A personal favorite is their Oyakudon (P75), a chicken and egg rice bowl, but they also serve other Japanese favorites, such as Yakitori (P69), Gyudon (P85), and Ebi Tempura (P99). 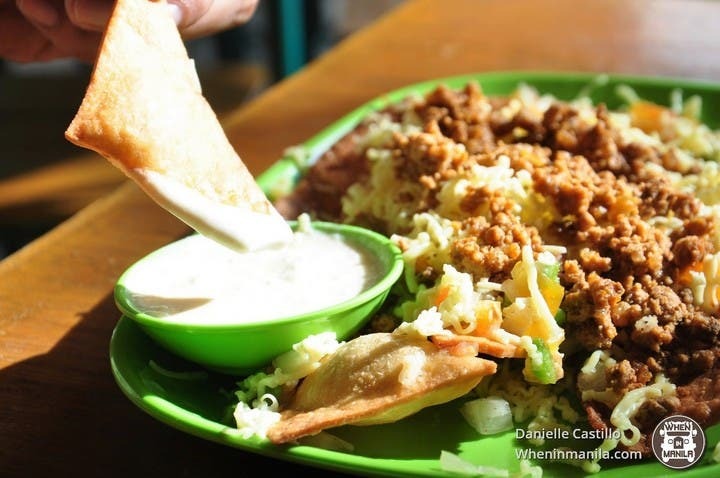 TBA is the place to go to enjoy your favorite Mexican snacks, like their Pita Nachos (P70), Quesadillas (P70), and Burritos (P90). Take charge of how you want your meal to be by partnering your snacks with either TBA’s milk tea or mocktails, both for only P50. It’s the combination you never knew you needed! Aside from these 10 amazing sulit meals, Area 2 also offers other mouth-watering treats along the street’s many stalls and hole-in-the-walls. 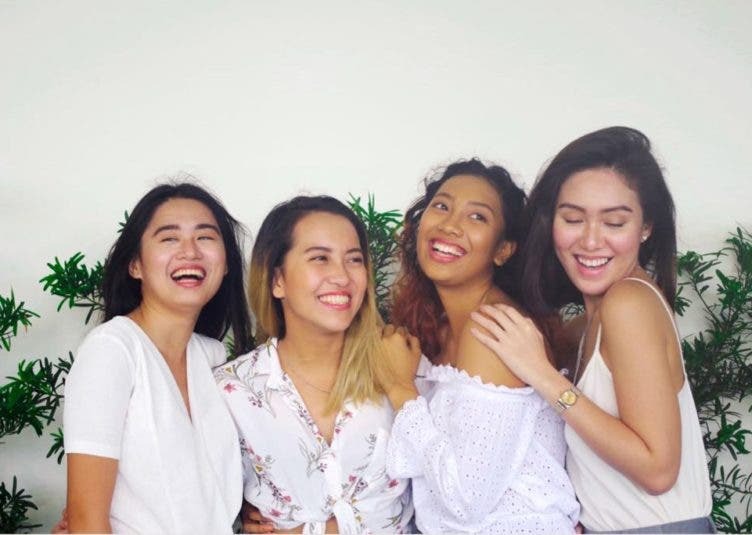 Whether you’re on a budget or on a splurge, make sure to visit Area 2 on your next food trip! 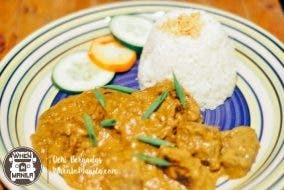 Did we miss any of your favorite tipid eats from Area 2? Share them with us below!